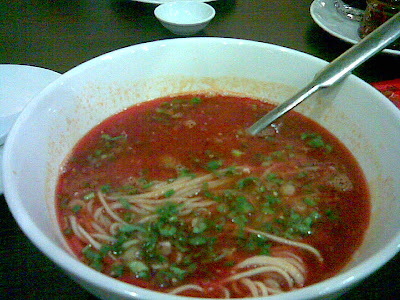 If you crave for noodles which are hand made, and served in various types of soups, and stews, this is the place for you. 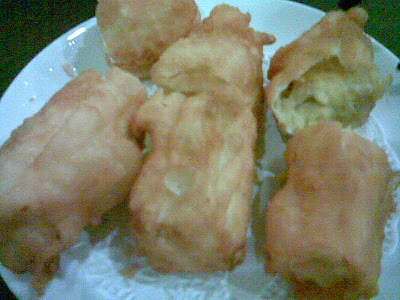 It was recommended by my cousin who is a close friend of the owner. MY FM DJ, Lam something. If you tune into the morning show of MYFM, he is the one half of the equivalent of JJ & Rudy on Hitz. When we arrived at the entrance, I had a feeling that this place was going to be pricey. Why ? 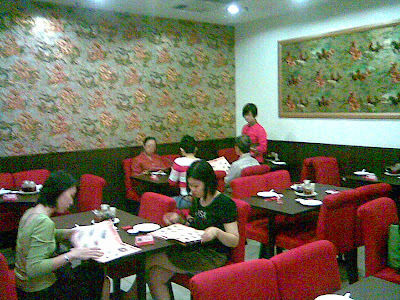 Nice decor, very traditional-ish looking wall papers which make me feel like I was transported back to China. 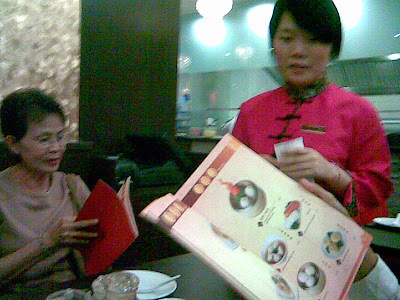 Even the lady who greeted us, spoke in Mandarin with a heavy Chinese Accent. We got seated and immediately the menu was put on the table. Unfortunately for me, although I look like AhPek, but I could not understand any Mandarin.. , so here I go, minus one point for hiring mandarin speaking only, waiteress. English also kenot... cis !! Ok, after checking the menu , the pricing is quite ok. Noodles from RM12 - 20. Hmm... they serves noodles of course, and I remember dim sum. We ordered our normal Ching Tong la mian, and also a Szechuan Soup La Mian. To me the la mian was no big deal, although you can watch the leng chai pull em noodles. 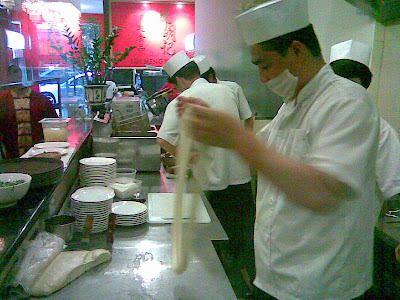 The noodles preparation is downstairs, separated from the tables by just a clear window. 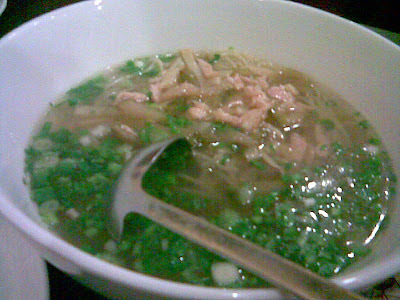 Other than requiring one fella to prepare (pull) the noodles, the soups were already pre made. Overall, I must say the place has got a nice environment. I gives you the feeling that you are dining in a posh place, although the pricing of the food is moderately high, but still affordable. If you are not picky on how your La Mian should be like, then you will enjoy dining at this place. The owners really spent quite a bit on decorating this place. As usual the other blogs has only good things to say about this restaurant, which I find just so-so only. I also find the food there so-so only. Chuen-Yat at SS2 is far better. my cousin's friend own this place ma, so was obliged to try their food at least once.